See more photos of the Eerie Roller Girls' bout from photographer Heather Prather. 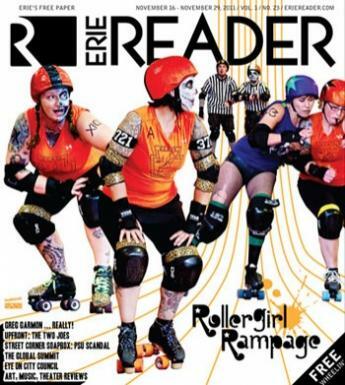 If you haven't had a chance to pick up a paper copy of the lastest issue of the Erie Reader, you're missing out on the color photos inside the paper's pages of the October 8 ERG bout taken by Heather Prather. Luckily for you, Heather's put up a montage of photos taken at the even on her blog. You know what to do: check them out!